Attach mini Sharpie Markers to a key chain, golf bag or backpack. 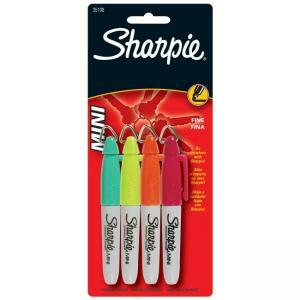 At half the size of the original Sharpie, its twice as easy to take anywhere. And like the original, its quick-drying ink is permanent on virtually any surface, including metal, glass, plastic, foils, rubber, waxed paper, film and circuit boards.